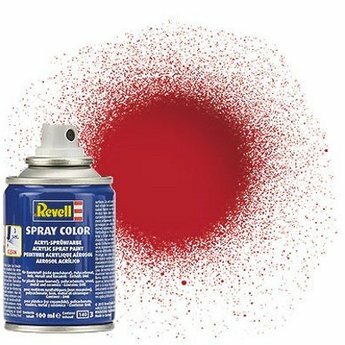 Revell Color Spray acrylic aerosol paint that dries very quickly and has a high density and high scratch resistance. Because of their particular composition, this paint can be used with plastic model building, polycarbonate, wood, metal and ceramics. This aerosol has a capacity of 100 ml.